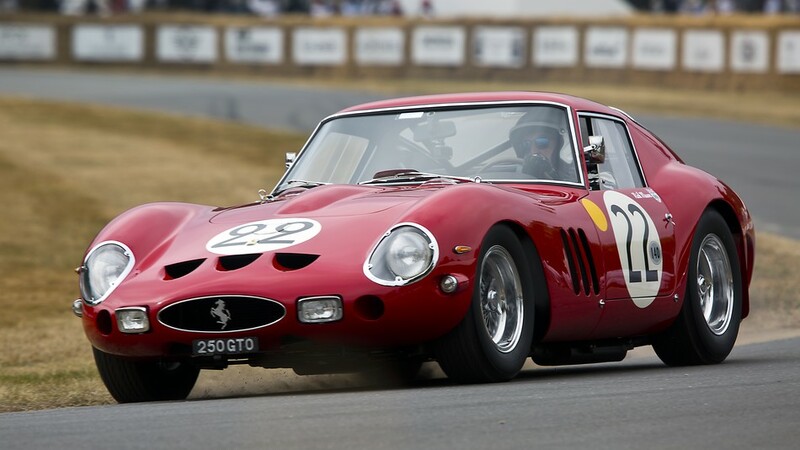 The 1962 Ferrari 250 GTO, similar to the one above, keeps breaking records on the track and at the auction house. A 1960s race car that originally cost $18,000 (that’s $151,203.60 in today’s money) shattered records with a nearly $50 million auction sale this weekend. The valuable 1962 Ferrari 250 GTO, a two-seater coupe, sold at an RM Sotheby’s auction in California for $48.4 million. This is the highest auction price ever for a vehicle. A 2014 auction previously held that title, for a $38 million Ferrari. Only 36 of the Ferrari 250 GTO were made between 1962 and 1964, making it a rarity and highly desirable for collectors. This particular Ferrari raced in the 1962 Italian GT Championships — and won. The car has a top speed of 174 mph. This was the third 250 GTO made and it comes with a strong lineage of racing wins and achievements. The new owners now have access to highly exclusive auto events. Fancy. While this weekend’s auction sale was a record, it doesn’t beat the sale price of a 1963 version of the Ferrari that sold earlier this year for a whooping $70 million.